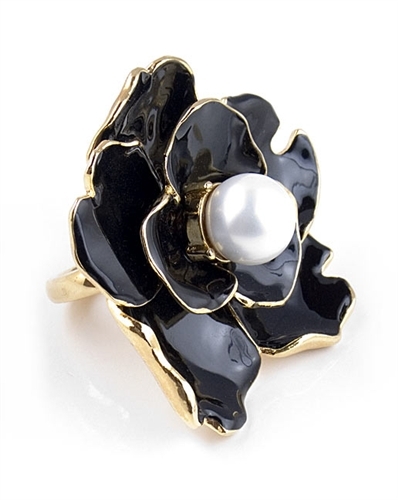 Black enamel flower ring by Kenneth Jay Lane. Ring is oversized and measures 5.5cm / 2" and has a large white pearl in the center. A stunning ring for the girl that loves to make statements!